On June 15, Energy Trust and Farmers Conservation Alliance’s Irrigation Modernization Program received the 2016 State Leadership in Clean Energy Award given by the Clean Energy States Alliance. 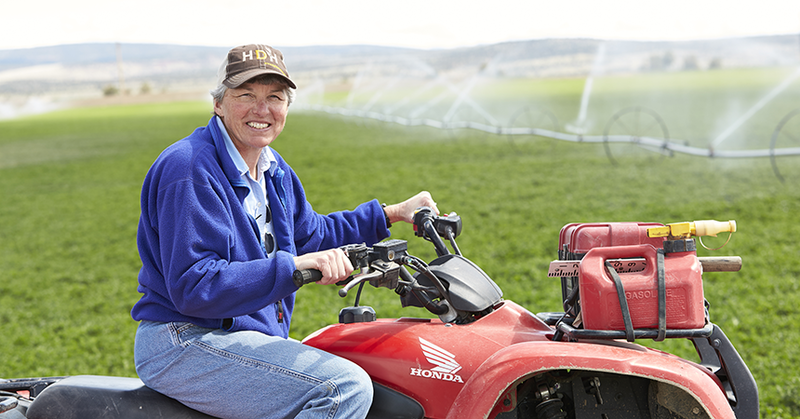 The national award recognizes the coordinated and comprehensive approach developed by Energy Trust and Farmers Conservation Alliance to help irrigation districts and the farmers they serve develop modern irrigation systems that can save billions of gallons of water annually. Oregon irrigators rely on 100-year old, open irrigation canals, which typically draw water from nearby rivers and other water sources. This method of irrigation results in a large amount of water evaporating and/or leaking from the canal before reaching agricultural crops. The Irrigation Modernization Program helps irrigation districts like Three Sisters Irrigation District in Bend and Farmers Irrigation District in Hood River find the funding and resources they need to create state-of-the-art irrigation systems that replace open canals with pipes, saving water and leaving more water in-stream for fish and wildlife. Pressurized pipes allow irrigators to remove pumps, which saves electricity, maintenance and replacement costs and enables farmers to upgrade to more water-efficient irrigation systems. Excess pressure in water on its way to delivery on farm can also be used to generate hydropower. These water preservation and energy-saving efforts are especially helpful in 2016, as Oregon’s snowpack is diminishing quickly in the unseasonably early hot weather, suggesting another lean irrigation year for Oregon farmers. Find out more on the Irrigation Modernization Program website or register for the State Leadership in Clean Energy: Award-Winning Programs in Connecticut and Oregon webinar on July 19 at 2 p.m to hear directly from Jed Jorgensen, program manager at Energy Trust and Julie O’Shea, executive director at Farmers Conservation Alliance about the program.